IndyCar: Why did Ganassi switch back to Honda? With a new standardised aero package due in 2018, has Chip Ganassi made an inspired decision or compromised his team’s chances? At first glance the decision to switch IndyCar allegiances from Chevrolet to Honda is slightly baffling. Chevrolet has had the beating of Honda in four of the last five seasons. In 2016 Honda teams managed a meagre 2 race wins. One of them was the 100th Indianapolis 500 which lessened the pain but it was still effectively a whitewash. Aero kit development is frozen for 2017 meaning the inherent advantage held by Chevrolet will remain. That in itself will be a big challenge for Ganassi’s championship aspirations. But that is only part of the story. Having been one of the leading Chevrolet teams that have optimised their package, Ganassi will be starting on the back foot. There will need to be significant engineering of the Honda aerokit and engine during the off-season but given the limitations of IndyCar testing, opportunities will be minimal. While the likes of Andretti Autosport have several seasons of setup data, Ganassi will be starting from behind. Honda are likely to share key information to prevent their star signings having a nightmare season. But that is unlikely to bridge the gap and make Chip Ganassi Racing as competitive as they have been in recent seasons. Add that all up and it is hard to understand why Ganassi would drop Chevrolet for Honda. And in particular why the team has decided to do so for the 2017 season. But Chip Ganassi does have a habit of catching a partner on the upswing. 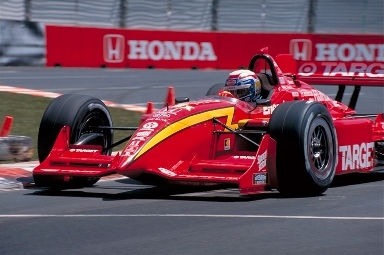 First time round Chip Ganassi Racing ushered in the era of Honda’s 1990s dominance with the likes of Vasser, Zanardi and Montoya. More recently Ganassi ditched Honda for Chevrolet in the current aero-kit era and scored a championship with Scott Dixon in 2015. Honda plus Ganassi usually means wins, and lots of them. 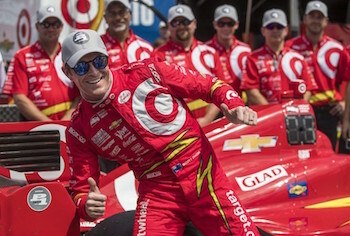 So what does Ganassi know that no one else – in the Chevrolet camp at least – knows? The aero kit has been the achilles heel for all Honda teams. Initially the engine was problematic as well. Honda used a single turbo configuration at first and could not match the power delivery and driveability of Chevrolet’s twin-turbo. Honda switched layout and now most teams agree that the Japanese engine is on par with Chevy’s. 2018’s standard aero kit will automatically remove what appears to be the remaining differentiator between Chevrolet and Honda. During the aero kit period Honda has proven more than adept at bridging the performance gap in engine-terms. As engines become more important from 2018 onwards, Ganassi clearly believes Honda will be more effective than Chevy in finding those marginal gains. Chip Ganassi Racing were the masters of the previous spec-chassis, spec-engine IndyCar era that ran from 2007 until 2011. Despite all teams having the same chassi, aero kit, engine and the like, Ganassi notched up 4 championships. As of 2018 teams will find their options for engineering chassis greatly reduced. Without bespoke Honda or Chevy kits to tinker with, it is going to take more skill and talent to squeeze out the tenths of a second that will seperate the winners from the losers. And that is something Chip Ganassi Racing has proven to have in bucket loads. 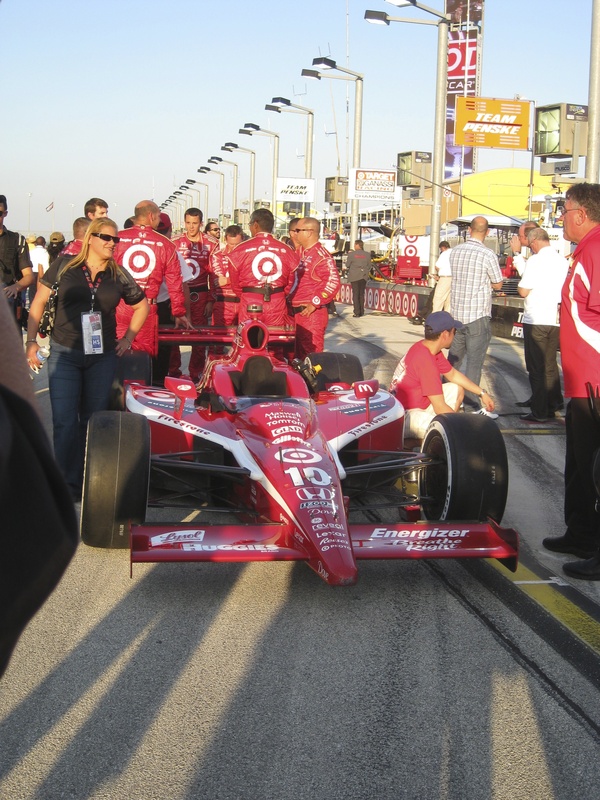 Chip Ganassi is a businessman who loves racing, not the other way around. Of the two enginer suppliers in Honda has made the most positive noises about sticking with IndyCar for the longer term. Chevrolet has overall been more guarded about. In my opinion Chevrolet has never been particularly enthusiastic about its return to IndyCar. Despite rulling the roost lately, it does not seem to be a critical part of their motorsports offering. Check out the IndyCar section (that should be page) on their website as an example. Ganassi is clearly positioning himself for the future. If Chevy decide its time to move on – particularly with the removal of their dominant aero kit – it is prudent to be with the engine partner who is more inclined to stay. Business first, racing second.